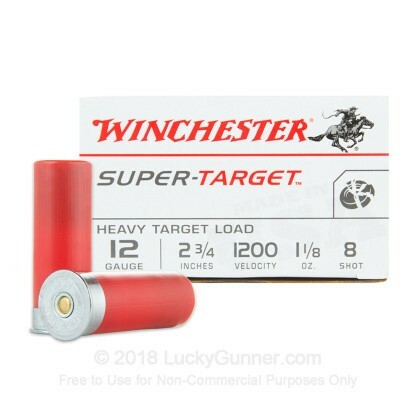 If you want to shoot a lot without spending a lot, you can't go wrong with Winchester Super Target loads. 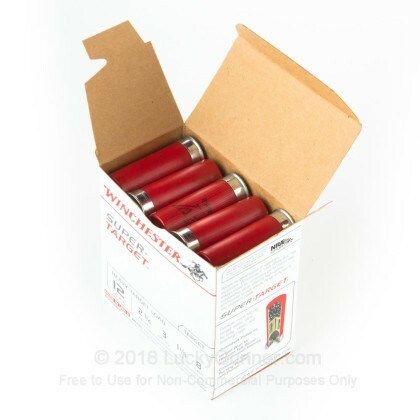 Suitable for clays and paper targets, these shells come packed in boxes of 25 and fire a 1-1/8 oz. column of #8 birdshot at 1,200 feet per second. 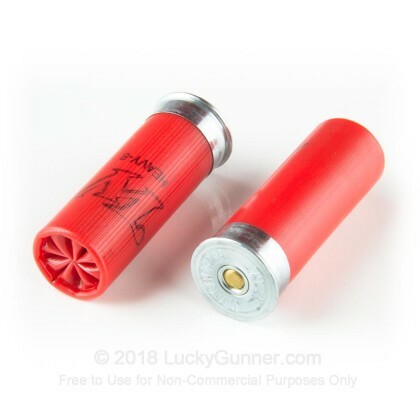 This combination produces good patterns at target ranges while generating mild recoil suitable for all types of shooters or for extended sessions. 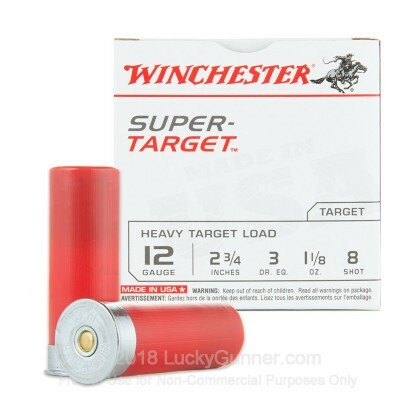 Winchester Super Target ammo delivers excellent performance at a reasonable cost and features a hinged wad that helps keep recoil down and patterns tight. 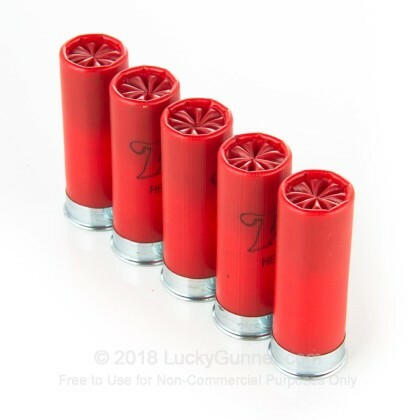 This ammunition is designed for target use and delivers low penetration; it excels in a target shooting role rather than a hunting or self-defense role. 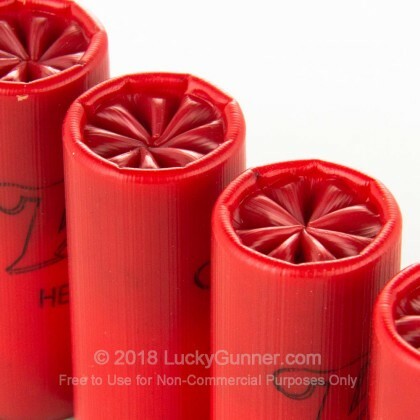 Winchester is a leading ammunition brand that delivers good quality products at a reasonable price. Since 2011, Winchester ammo has been made in Oxford, Mississippi.